Chief Executive Officer, World Academy of Art & Science; Vice-President, The Mother’s Service Society, Pondicherry, India; International Fellow, Club of Rome. Garry Jacobs is an American-born consultant on business management and economic development and Vice President of The Mother's Service Society, a social science research Institute in Pondicherry, India. Since 1972 he has been engaged in research on social development, organizational theory, money and employment, as well as studies for the Government of India and state governments. From 1989 to 1994, he was Member-Secretary of the International Commission on Peace & Food (ICPF) and editor of the Commission's report to the UN entitled Uncommon Opportunities: Agenda for Peace and Equitable Development. 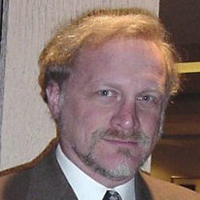 Since 1995 he is also Executive Director, International Center for Peace & Development, (Napa, CA). As a management consultant, he has worked with major corporations in the USA, Europe and India and is co-author of two books on the process of corporate growth: The Vital Difference: Unleashing the Powers of Sustained Corporate Success, and The Vital Corporation: How American Companies Large and Small Double Profits in Two Years or Less. M S R Dev is a graduate (1966) in Mechanical Engineering from the Regional Engineering College, Warangal of the Osmania University, and a Post Graduate (1968) in Aeronautical Engineering of the Indian Institute of Science, Bangalore. He possess an MBA (1990) and Doctorate (PhD. 1992) in Business Administration from Newport University, California. He is a Fellow of the Aeronautical Society of India, Institution of Engineers India, and Institute of Marketing and Management India. As a lifelong learner, he undertook many certificate courses in the past, such as, certificate course in Japanese Management Techniques (TPM, 5S, Gemba Kaizen) of JMA Management Center, Japan; EKS (Energo Cybernetic Strategy) course on German Management Techniques from Mewes System, Frankfurt, Germany; Project Management Course from Administrative Staff College, Hyderabad, India; Motivation Technique Course from NITIE Bombay, India; ISO 9000 Lead Assessor of BSI International Training, London; Leadership and Communication course from AOTS, Tokyo; and Business Improvement Course – ILO, Geneva. 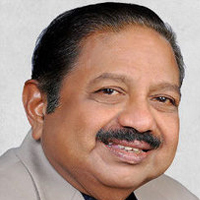 He took active interest in professional associations and undertook key roles and responsibilities such as, Past President of Aeronautical Society of India, Trivandrum (1989 – 90); Chairman, Society of R&D Managers, India (1992); Advisor, Trivandrum Management Association; Advisor, National Institute of Quality and Reliability, India; Life Member, Indian Astronautical Society, Member of Indian Society for Training and Development and member of Inter Planetary Society, California. He has rich experience of 30 years (1968 to 1997) in Public Sector, India – Indian Space Research Organization (ISRO) and took top roles and responsibilities such as, Project Manager and Launch Vehicle Director (D1 of SLV 3, Country’s first Satellite Launch Vehicle); Project Director, ASLV (Country’s 2nd generation Launch Vehicle); Chairman, ASLV Project Management Board; Mission Director, ASLV developmental launches (D1, D2 and D3); Chairman, Product Assurance Board of PSLV and GSLV – Country’s current launch vehicles; and Director, Systems Reliability Group, Vikram Sarabhai Space Center, India. 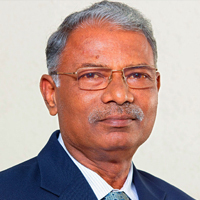 After voluntarily retiring from ISRO, he took active interest in Private Sector and entrepreneurship in developing companies and educational Institutions for the last 16 years (1998 – 2014). He held top responsibilities such as, Executive Director, Travancore Institute of Science and Technology, Trivandrum (India); President, Think Global Associates (Consultancy and Training); Chief Consultant and Director, Falcon Infrastructures Limited (Logistics Company); Director and Executive Chairman of Vidya Bharathi Group of Institutions (Accountancy and Finance, Commerce and Management, Logistics and Supply Chain Management); Chairman – Atlanta IT Solutions (IT Company) and served in various governing bodies as member – Board of Directors, Big Pond Technologies, USA; Academic Council – Gulf Medical College, Ajman, UAE. At present he is an Hon. Director of Institute of Project Management (IPM), Tasmania, Australia. He has logged long International experiences / exposure during the last few decades such as, leader of delegation of engineers, ISRO, to France and French Guyana (South America), leader of delegation of procurement team for ASLV that visited Europe and USA, leader of delegation that visited Moscow for discussion with Russian Space Organization, leader of delegation that visited Tokyo to discuss with Japanese Space Organization, as delegate to World Space Congress, Washington. Visited Middle East countries in connection with the development of Logistics Company – Falcon Infrastructures, visited Australia, Sri Lanka, Maldives, Nepal, Bangladesh and London in connection with the development of educational courses associated with Vidya Bharathi Group of Educational Institutions. He took active interest in organizing many national and international conferences / summits as organizing chairman, keynote speaker, session chair, etc.. He showed special interest in social service and serving Rotary International – Rotary Club of Trivandrum North as Charter member (since 1972) and as Past President. He was founder chairman DISA (Integrated socio-economic foundation – 2007) and at present he is the founder and managing trustee of Better World Foundation. He was awarded a number of national and international honours and citations in the past, such as, Management Leadership Award of Trivandrum Management Association; Distinguished Alumni Award of Indian Institute of Science, Bangalore; Dr.Biren Roy National Space Award of Aeronautical Society of India; For the Sake of Honour award of the Rotary International – Rotary Club of Trivandrum North and South. FiE National award for outstanding contribution in science and technology; Management Excellence award for outstanding contribution to Management profession by Calicut Management Association, India. At present he is visualizing the development of International ventures with a mission for sharing knowledge, experience and exposures so far accumulated in the field of Space Technology and Project Management, establishment of educational Institutions, corporate training and consultancy. He is currently shouldering the responsibility of Executive Chairman, Knowledge Providers International – KPi, India. His passion in future is the development of his mega social (non-profit) dream mission ‘Better World Forums’ and professional corporate training mission ‘Corporate Guru’. He is well versed in communicating in languages such as, English, Hindi, Malayalam, Tamil and to some extent French. 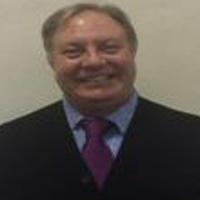 He has undertaken foundation courses in German, Japanese, Russian, Spanish and Arabic. He is planning to undertake global tours for promoting the above two missions of the future. Roy Posner is the founder of Growth Online, a web site providing fresh, new insights into human evolution and transformation. Inspired by the life and teachings of the Indian sage and seer Sri Aurobindo, Roy embarked on a journey to understand the deepest truths of life. A good part of what he discovered along the way is presented at Growth Online. Roy is also the author of several books on personal growth and transformation, including the internationally acclaimed 'The Miraculous Phenomenon of Life Response.' Many of the articles he has penned for Growth Online were developed in collaboration with The Mother's Service Society, a thinktank founded by Sri Karmayogi located in Pondicherry India. MSS has done groundbreaking work in the areas of social development, economics, business management theory, education, literature, psychology, personal growth, and spirituality in life -- extending the profound wisdom of Sri Aurobindo to each of these fields. Most of the content of Growth Online is built upon this intellectual and experiential foundation. Roy has also been a contributing author and editorial board member of Consecration magazine, a journal dedicated to practical application of spirituality in daily life. He is also a research associate for The Mother's Service Society/MSS Research, and a contributor to both the Human Science project and the Karmayogi.netforums. Several years back Roy participated in the development of a new web-based expert system for personal relationships, RomanceEternal, as well as a powerful online sales training system, TenFold Sales, based on profound principles of personal growth and success. In April 2012 Roy spoke at a gathering in San Francisco of Tech Mahindra, a $3B Indian IT company, on the subject of how to evoke powerful Life Response in Sales by changing one's attitudes. Roy participated in e-conferences on creating full employment in the world, the emergence of True Individuality in society, and a new vision of Higher Education as guest member of the World Academy of Art and Science (WAAS). He is also a guest researcher for the World University Consortium (WUC), a new initiative of the World Academy. In 2014 Roy co-founded LAMERE Business Systems a management consulting, training, and research company dedicated to taking its clients to the pinnacles of success. The stated goal is to turn every company Lamere comes in contact with into a highly energized, vastly productive, and enormously profitable Living Organization. In November 2014 Roy made a presentation to ~100 business owners and others at the EVOLVE management conference in Kochi, India on the subject of how "Overcoming Negative Attitudes Attract Business Success." Roy is also the founder of GuruSoftware, a software development, training, and consulting company headquartered in California, specializing in project management. Thebusiness (and his other endeavors) serve as a living laboratory for Roy to apply the powerful life principles he has learned along the way, which in turn provide new insights that are captured in his latest essays, articles and books. Dr Zucconi, born in Florence, Italy on May 31st, 1946, is a clinical psychologist, person centered psychotherapist was a student and collaborator of the late Dr. Carl Rogers. Dr. Zucconi a is the president and cofounder with Carl Rogers of the Person-Centered Approach Institute (IACP), a non profit international organization, dedicated to research in human behaviour and the training of professionals with the Person Centered Approach. IACP has been the first World Health Organization (WHO) Collaborating Centre for research, training and consulting in Health Promotion at the workplace in Italy and is the Host Institution for the SOLVE programs (psychosocial issues at work) of the International Labour Office (ILO) in Italy and collaborates with the ILO' Department of Disasters, fragility and resilience. IACP is a member of the Inter University Center (IUC), a center of the World Academy of Art and Science and a charter member of the World University Consortium., Dr. Zucconi was a faculty member of the Western Behavioural Science Institute (WBSI) in La Jolla, CA., collaborated as a member of staff of the Carl Rogers' Peace Institute with the United Nations University for Peace on cross-cultural communication and conflict resolution meetings with heads of state and diplomats. He was teaching at the postgraduate level Person Centered Psychotherapy and health promotion at the faculty of medicine of the University of Siena (Italy) and has been working internationally for 40 years as a trainer, lecturer and consultant for public and private organizations. Alberto is a fellow of the International Leadership Forum, a fellow and a trustee of the World Academy of Art and Science (WAAS), a member of the Executive Committee of the World Academy of Art and Science, the Secretary General of the World University Consortium (WUC), an University Course Coordinator of the University Courses Programs of WAAS and WUC at the Interuniversity Centre of Dubrovnick (IUC). Dr. Zucconi has authored and edited several articles, book chapters and books on Psychology, Psychotherapy and Health Promotion. 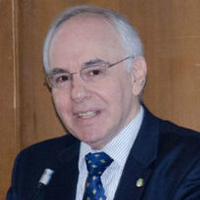 Dr. Zucconi has designed and directed several research project, among the last research projects the FOLIC Project, on the promotion of health of workers over 45, financed by the Leonardo da Vinci Program of the European Union; the project of the promotion of self esteem and self efficacy of students of the Italian Education system for the Italian Ministry of Health and the IPEPPT, an international research project on the effectiveness of psychotherapy and psychotherapy training programs of which Dr. Zucconi is the originator with Dr. Robert Elliot. The American Psychological Association Psychology, Division 32, gave the Istituto dell'Approccio Centrato sulla Persona (IACP) and to Alberto Zucconi the Charlotte and Karl B�hler Award for 2012. This award is given to an Institution, and an individual associated with an Institution, that has made an outstanding and lasting contribution to humanistic psychology. 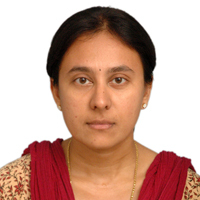 Janani Harish is a Senior Research Analyst at The Mother's Service Society, Pondicherry and Associate Fellow, World Academy of Art and Science. She has been involved in research in social science for 20 years. She holds a Master�s Degree and M. Phil in Computer Science and has worked on a wide range of projects, including the future of business, social development, Internet based employment opportunities, education and literary criticism. She is currently engaged in a multi-year, in-depth exploration of the relationship between literature, psychology, history and social development, which examines the relationship between the characters and events depicted in great works of literature and the changing human values and social behaviour of society. This project is part of her larger career goal to evolve new criteria for literary criticism based on an understanding of the process of social evolution. She is also Senior Research Associate at World University Consortium responsible for research on global higher education and human-centered education. Dr. V. Raman Nair was Group Director, SCMS group of Educational Institutions, Cochin. He was also in charge of Research, Consultancy and Training &Development. He joined SCMS as Professor in banking and finance and also headed the department of Marketing. Aversatile personality, he has vastexperience as a practicingmanager, teacher, trainer and research scholar. He was with StateBank of Travancore for more than 25 years in various managerialpositions and as faculty in staff learning centres of State Bank. As a trainer he has organised several MDPs/ EDPs/ FDPs for various corporates and B Schools. He has Master’s degree in English, Commerce and Business Administration and has taken Doctorate in Management from M.G. University. He hadspecialised training in management at IIM, Calcuttafor a year, and has completed the one year International Teachers Programme at Institute of Management Development (IMD), Switzerland. Trained on Entrepreneurship Development at Indian School of Business at Hyderabad, he is also a certified Management Teacher by ISB. He was also sponsored by ICICI bank for an advanced training in Wealth Management at Bangkok. Prof.Nairhas been a visiting faculty for the MBA Programmesof the Institute of Management in Kerala, Trivandrum, TKMInstitute of Management, Kollam and at IGNOU Regional Centre apart from being a resource person in the Academic Staff colleges in the Universities of Kerala and Calicut. He has published several articles in national journals, presented papers in conferences and contributed chapters in books on management.He is a research guide in MG University, Bharathiyar University, Karpagam University and Singhania University.